The singer shared the photo on social media. 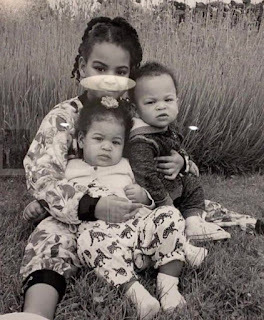 In the photo, her first daughter, Blue Ivy is seen carrying her twin siblings. So adorable!